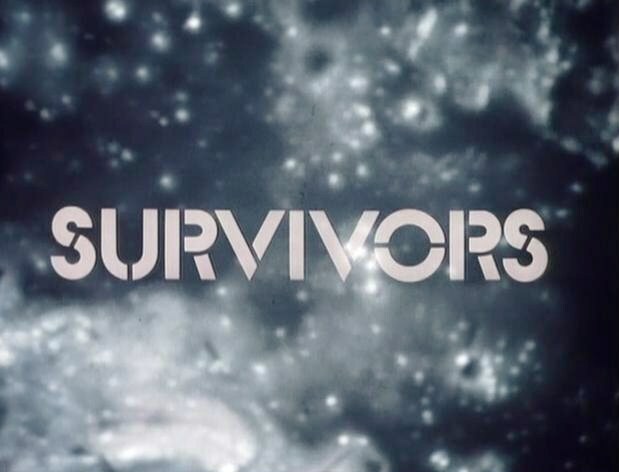 Survivors: Series 1 – A Beginning | Warped Factor - Words in the Key of Geek. Andrew East reviews the final episode from season one of Terry Nation's dystopian classic, Survivors. The final episode of Series 1of Survivors is a bit of an oddity. It opens with a sudden increase of tension between Abby and Greg, and to some extent, the other community members. The tension leads to Abby going off for some alone time. Meanwhile, another small group of survivors has turned up at the house and asked for help. They have a sick woman with them but Greg manages to convince the community that they have to turn them away to prevent possible infection. The other group, however, dump the sick girl in the grounds and scarper. Caring for her, she eventually recovers and is revealed to be a medical student – which is handy, because Greg has sliced his arm open on a saw and needs stitches. Arthur has also been off convincing local communities to join together in some sort of federation and one community is headed up by a certain Jimmy Garland. Abby’s alone time ends when she, coincidentally, runs into Jimmy and has some ‘breakfast’ with him (wink, wink). All these disparate plot lines never really join up very well and, although the main focus is on Abby’s little bit of soul searching (which basically ends up with her getting some) she fairly swiftly returns to the community (with Jimmy in tow) and everything’s better. It makes the whole episode seem a little inconsequential. The two biggest plot elements are delivered by Ruth, the sick medical student they nurse back to health (with none of the apparent dangers that they were worried about before taking her in). The fact that she is medically trained is important as the community has just realised they need more knowledge in that area (they’re blooming lucky no one has injured themselves as badly as Greg up to now). And she brings with her news of Peter, Abby’s missing son who is, conveniently, alive after all this time. What’s weird though is that the series doesn’t end with Abby being told about this. She reunites, all smiles and hugs, with Jenny and Greg (as if she’s been away for weeks rather than a couple of days) and they say they have something to tell her. Roll credits. After the tense previous episode and the build-up of the series, this episode is definitely a disappointment. There seems to be a desperate attempt to make sure every cast member has some lines; including the oft-absent Charmian, meaning that there is no real character focus. The reintroduction of Garland (who has jacked in his ‘Bear Grylls’ character beat for a comfy cottage and a disturbingly open dressing gown) doesn’t add much, aside from making Abby ‘happy’. The episode also doesn’t seem to know what it wants to be; is it about Abby’s self-doubt; is it about renewed tension in the community; is it about the different communities (which we never see) joining together to fight a common foe (which we never see); is it about Greg’s cut arm; is it trying to set things up (clumsily) for the next series (the return of Garland; Peter’s whereabouts; a federation of communities)? It is definitely less than the sum of its parts and the whole thing just feels messy. A disappointing end to a very mixed series. I’m not sure I’ve enjoyed it as much as I thought I might. There have been flashes of brilliance, but an awful lot of treading water in between and some very unfocussed, flabby episodes which have skirted around the issues and side-stepped effective ways of building the series. I’m going to listen to the Big Finish audio series next before moving on to Series 2, but I’m not sure what to expect from either.